Your socks are only mismatched to keep everyone else on their toes. 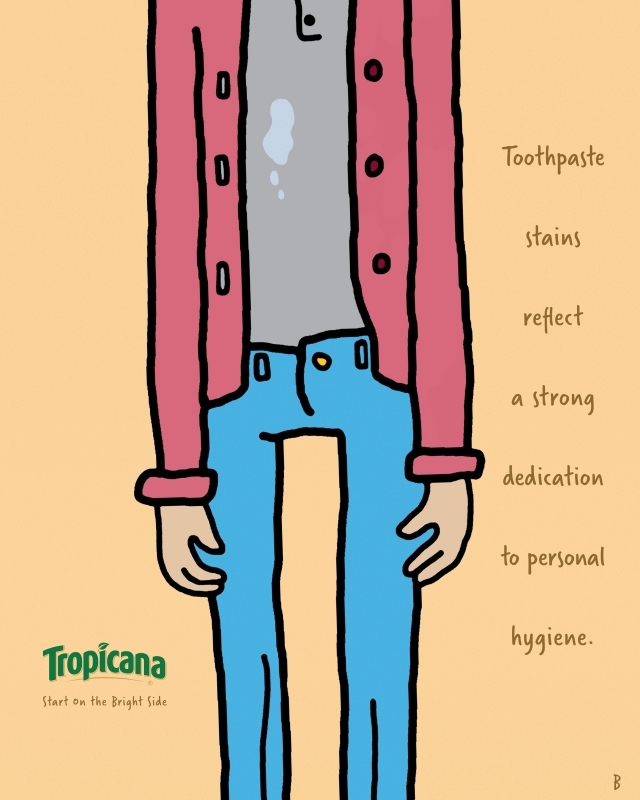 Toothpaste stains reflect a strong dedication to personal hygiene. 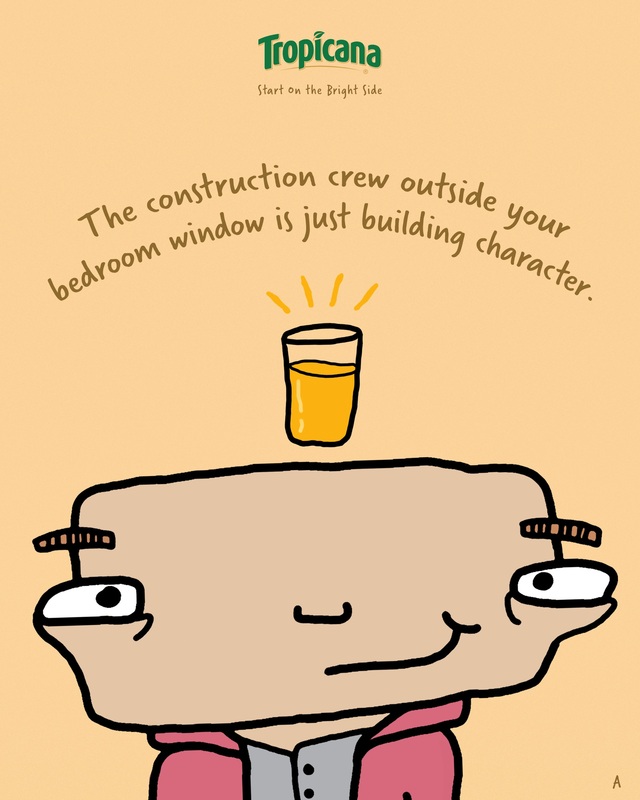 The construction crew outside your bedroom window is just building character. 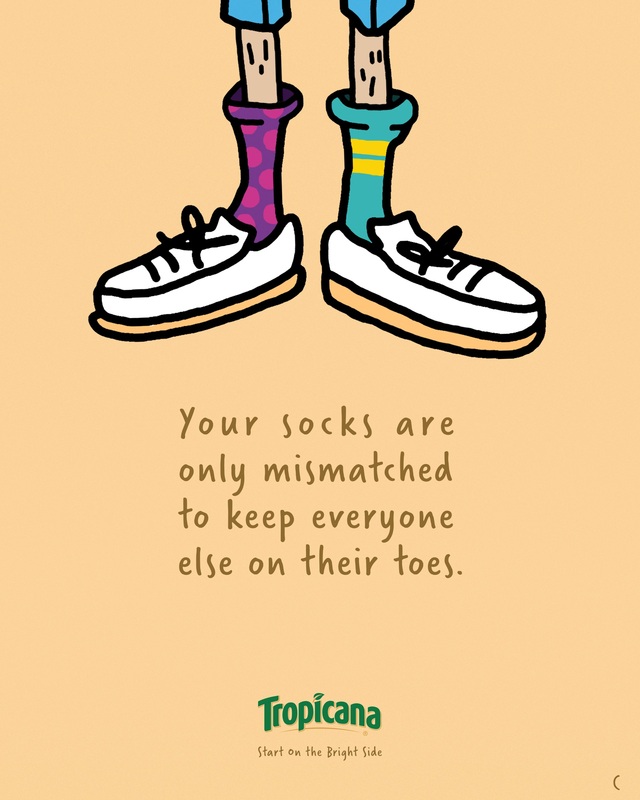 Look at the morning struggle with a brighter tune after having a glass of Tropicana Orange Juice.